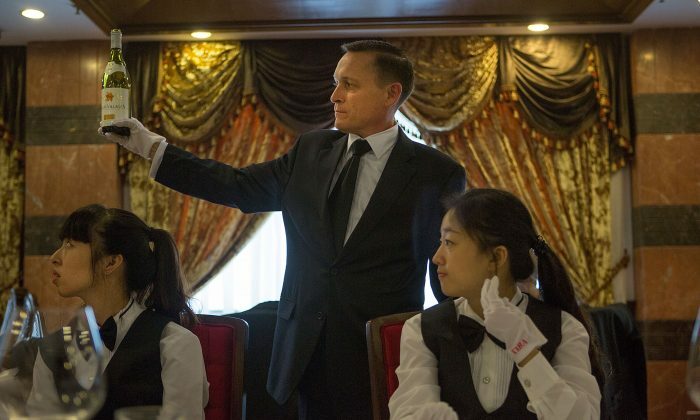 Perhaps due to popularized notions about Western luxury, the European-style butler is making his revival in the Far East. Attracted to the trappings of nobility, China’s nouveau riche pursue extravagance in their consumption and lifestyles, which has boosted the age-old profession. Status symbol aside, hiring a butler and other domestic workers makes sense for those who own multi-million-dollar homes and do not have the time or ability to manage the property. Butlery has become big enough on the Chinese service sector that the Netherlands-based International Butler Academy opened a branch in the city of Chengdu, southwest China. The school seeks to bridge the cultural and linguistic gap that comes with the employment of high-end Western domestic workers by wealthy Chinese. It also trains Chinese butlers. These are not challenges that can be overcome easily. Robert Wennekes, chairman of the Academy, noted that Chinese employers often lack the context to understand the culture of butlery, China’s New Weekly magazine reported. Chinese often treat their butlers like common servants rather than partners in a fair, professional relationship. The Academy has become pickier when selecting their Chinese clients. Some customers order their Western butlers to ride horses. Others assign them simple cleaning duties. Christopher Noble, head of training at the China branch, teaches his students how to politely refuse in certain situations rather than spend hours trying to fulfill unfair or impractical requests. Thomas Kaufmann, formerly the Academy’s China branch CEO and now based on Hong Kong, said that wealthy Chinese did not understand proper wine culture, according to New Weekly. Rather than savoring the wine in proprietous sips, well-to-do Chinese are more concerned about downing the drinks in large gulps, he recalled. 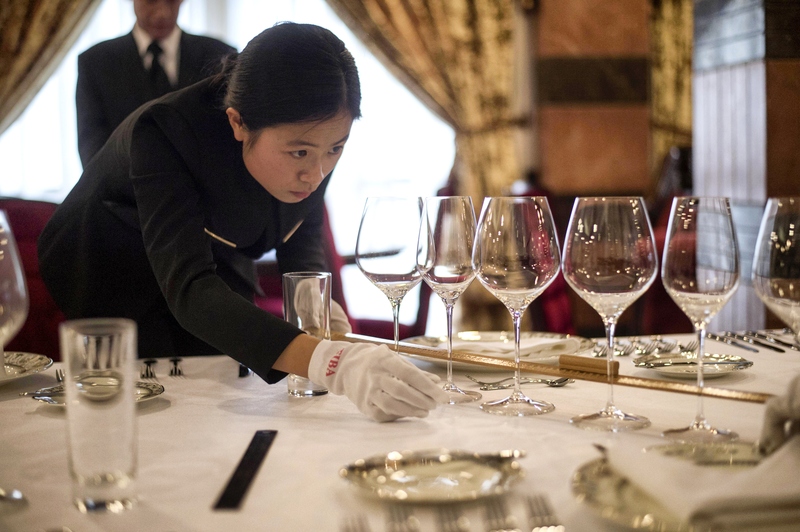 In contrast to European nobility or people from old money who are inculcated in the ways of quality and taste in their lifestyles, members of China’s upper class habitually boast of their possessions, such as mansions and cars, said Pu Yan, the Academy’s China branch marketing director. For example, Europeans might pick out several expensive suits for long-term wear, while rich Chinese would make purchases based simply on whether it happened to be eye-catching or trendy at the moment, Pu said. Rather than taste, the Chinese still see money as the true mark of elite status. In 2011, a man from Shanxi Province made headlines when he angrily flaunted his wealth at tour guides who refused to let him see a blocked-off imperial tomb in Beijing. When the guides told him that the underground necropolis honoring the Qing Dynasty Emperor Kangxi was closed for reasons of cultural preservation, the man produced a stack of 100-yuan bills and threw it at the feet of the guides. Incensed, he proclaimed that he had enough money to buy the tomb.